And with all those hits, home runs and pitchers, the game came down to oe run in the bottom of the eighth that gave the Fuego a 15-14 victory over the Train Robbers. The game went back and forth all night. Las Vegas went up 1-0 after one and held that lead after two, when both teams picked up a trio of runs, making it 4-3. 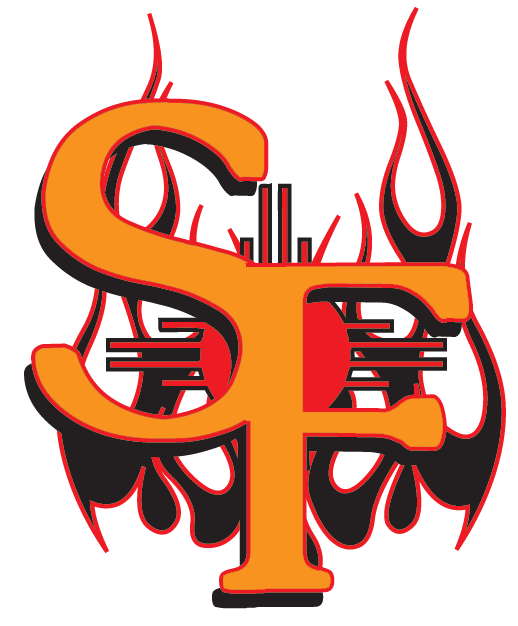 The FUego retook the lead in the bottom of the third with four runs; SAnta Fe matched that in the top of the fifth then Santa Fe came back with five in the bottom of the stanza, keeping them on top 12-8. The seventh inning again tied things up, with Las Vegas picking up six runs on six hit � home runs by Chris Wilson and Will Walsh helped the cause � and Santa Fe coming back in the bottom of the inning with two more to tie the game at 14-all. The seventh inning was scoreless and Nick Huff kept it that way for Santa Fe in the top of the eighth. But the Fuego got the only run the really needed in the bottom of the stanza, when Josh Barnett advanced on a dropped third strike. Charlie Calamia walked, then, after a double steal, Huff walked and Michael Kershner came in for Las Vegas, walking Bryson Sims to bring in the winning run in a somewhat anticlimactic manner. Kershner got Devonte Odums to strike out, but Jared Bowser closed the door on the Train Robbers with a 1-2-3 inning in the ninth. Offensively, the big hits came from both teams. Randy Wells hit a two-run shot for Las Vegas in the second while Larry Rodriguez got a solo homer for the Fuego in the bottom of the inning, and Kellen Lee got a 2 RBI shot in the same stanza. Jimmy Maxwell hit a three-run shot for Santa Fe in the third, and Wells got his second of the night in the fourth, bringing home three Robbers. Sims got his second ever homer in the bottom of the fourth ���This one he hit with a little more authority. I think he hit it out against the wind, so maybe he�s in the weight room or something between starts,�Moore laughed � and Larry Rodriguez got his second of the night. The two Train Robber homers in the sixth were the final balls that left the park Saturday, but they certainly weren�t the last hits. Las Vegas had 16 hits and Santa Fe 19, with doubles by Odums, Rodriguez and pinch hitter Eric Scott. After going through seven pitchers, the Fuego also ran out of pinch hitters and had to let a Huff in the bottom of the eighth. �We got lucky. We had first and second with two outs and they walked the guy. Wow! Thank you,� Moore said. One pinch hitter who didn�t get a hit was Anthony Welsh, who Moore said was robbed by weather. And, with only one errir on each side, the defense was solid as well. And Moore had nothing but kind words for the opposition. 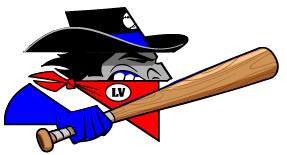 Barring another smoke postponement � the Tres Lagunas fire continues to burn between Santa Fe and Las Vegas, with zero containment as of early Sunday morning � the teams will meet Sunday on Rodriguez Field in Vegas at 4 p.m. Moore expects another close match.